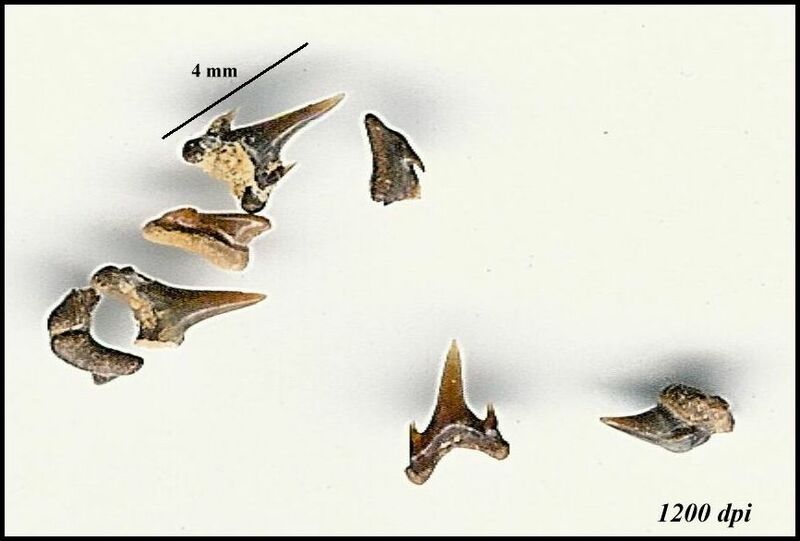 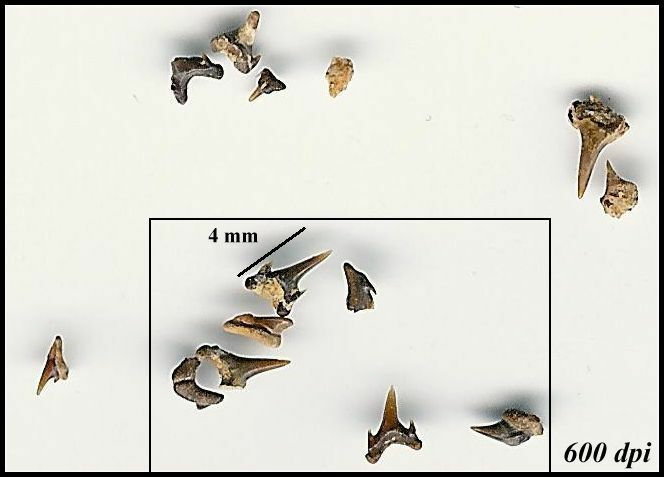 Quick scans of small (3-4 mm) Carcharias amonensis teeth made with a HP OfficeJet G55 Printer Scanner Copier.... (about 4 years old)... at 1200 and 600 dpi. 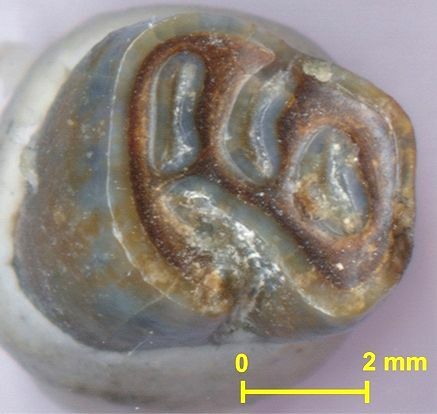 "When I read your suggestion in vrtpaleo group, I tried to scan some of my fossils (especially castor material) and the result is surprisingly good. I'm using a newest HP scanner and choosing 4600 dpi or even more (HP ScanJet 4070 PhotoSmart scanner)."